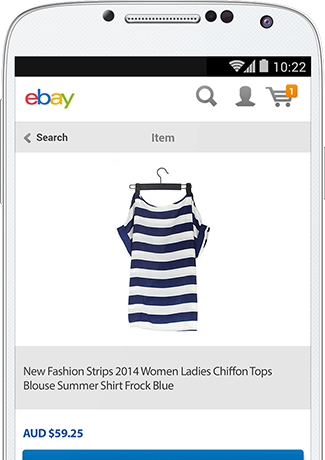 Jumpstart your business with an eBay store and reach out to millions of global eBay buyers. Incorporating PayPal into your eBay listings can help attract more overseas buyers. Verify your PayPal account to increase your credibility and set up an eBay Store. Create your eBay listings and start selling. Display all your listings in one convenient location. PayPal’s Seller Protection program covers eBay sellers for claims, chargebacks and reversals for unauthorized payments and items not received for eligible transactions that are paid for with PayPal. Provide details with a valid card or bank account information. Before you list an item, look for similar products that have been sold recently on eBay as a reference to select the most appropriate category, set a price or learn your item’s potential value. Review the eBay seller’s checklist and the tips for successful selling. The basic cost of selling an item is the listing fee plus the final value fee if the item is sold. Additional fees will apply if you use optional features and services. Learn more about how fees are calculated, the cost of listing and selling an item, and the eBay standard selling fees. eBay seller account with your credit card on file.